Need fridge magnets? We can take care of the whole process. 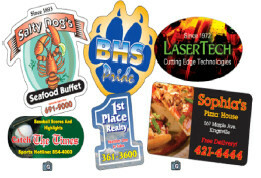 Magnet thickness is 0.4mm for general use and 0.9mm for outdoor/car signage applications.